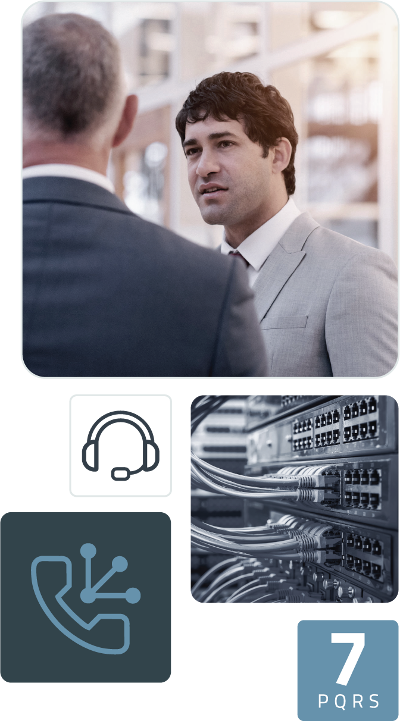 With over 10 years’ experience as a VoIP Provider offering solutions to thousands of home and business clients. Both in South Africa and abroad. Switch Telecom has gained a reputation for outstanding service and advanced solutions. Switch Telecom was founded, initially, as an alternative to the fixed line incumbent in 2006. Our first operating license was issued by ICASA in 2007. Over the years we have grown, evolved and matured. We no longer just provide VoIP services to bring down costs. We offer our client’s cost-effective communication solutions. There are now a lot of VoIP services out there and you can choose from multiple Providers. So why choose Switch Telecom? Most VoIP Providers are able to offer cheap calls but few are able to offer customised solutions that are both affordable and reliable. Switch Telecom offers a wide range of solutions that will keep you connected and accommodate your unique requirements. We are also able to provide VoIP solutions on many different types of broadband connections. This means that you don’t have to change your existing internet connection or provider. A lot of the services out there are difficult to understand and their cost savings are difficult to measure. Promises of “in and out of bundle pricing” and “free calls” offered with a monthly subscription or at certain times of the day, don’t make things any clearer. It’s for this reason that we like to keep things simple and transparent. Our pricing model is easy to understand. And you can easily measure your savings. Most notably, we don’t believe in long-term contracts which means we have a vested interest in offering you the best service experience. We remain competitive while ensuring a premium service. Our network has multiple points of presence and interconnects throughout the country which ensures maximum uptime. You can depend on our highly skilled and trained team to offer support and advice. In addition, our user-friendly online portal will enable you to manage your own solution portfolio. At the heart of it, we will always be entrepreneurs who take pride in what we do and who will never stop innovating.